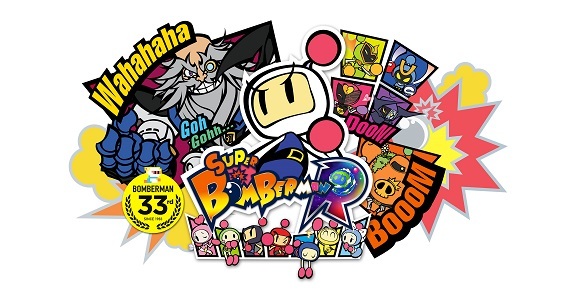 In this post, you will find everything there is to know about the Software updates for Super Bomberman R (originally released on March 3rd, 2017 in Europe, Japan, and North America). How to update Super Bomberman R for the Nintendo Switch? To check that you have the latest version installed, press either + or – to go to the Options page. The version number is displayed just below the game title. A new battle rule “Civilians” has been added to the Grand Prix mode. Three Castlevania stages have been added where the new “Civilians” rule can be enjoyed. Bill Bomber: Firing speed of special ability is downgraded from 0.11 secs to 0.18 secs per tile. Max: Added the special ability ‘Plasma Bomb’. All abilities in ‘Grand Prix’ are also adjusted. The Five Dastardly Bombers: Special ability bombs, has the effect of accelerating/decelerating explosion countdowns depending on skulls, illnesses, etc. [Checkpoints] Players scramble for areas known as “Checkpoints” in the stage. Occupied checkpoints provide a certain amount of point every 10 seconds. At the end of the round, additional points are given for the occupied checkpoints. 3 types of Metal Gear stages have been added for you to enjoy the Checkpoint rule. The rules for accomplishing a perfect in Grand Prix have been changed. We have softened some cases of lagging that occurred in the Online Grand Prix depending on the opponent’s network conditions. Pyramid Head Bomber’s special ability has been renamed to “Judgement” (the effect is the same). Additional notes: check out this post for more details, some pictures, and video! We fixed the bug in which the player’s movement speed would increase in the Power Zone stage. Additional notes: this update is naturally required to keep playing online. Other than Battle Royale, the Team Battle is now available as a Battle Rule. In this mode, the team with the last survivor wins the match. Additional notes: this update is naturally required to keep playing online. For more details about the DLC, click here! Additional notes: update is now available worldwide! Adjustments have been made to reduce the input latency. Controls are now more precise to reduce the unintentional direction changes. The characters are now behaving more naturally when in front of a pillar or a block. Making a turn while running along a block or a pillar is now easier. A kicked bomb can be stopped more precisely. You can now select the Room Type when you create a room to host an Online Free Battle. By choosing “Room Number”, only players who know the room number can join. Fixed a bug that made the game ignore some button inputs when packet loss occurs. Sudden direction changes are easier to make.